Sediments from Bizerta lagoon were used in an experimental microcosm setup involving three scenarios for the bioremediation of anthracene-polluted sediments, namely bioaugmentation, biostimulation, and a combination of both bioaugmentation and biostimulation. In order to investigate the effect of the biotreatments on the benthic biosphere, 16S rRNA gene-based T-RFLP bacterial community structure and the abundance and diversity of the meiofauna were determined throughout the experiment period. Addition of fresh anthracene drastically reduced the benthic bacterial and meiofaunal abundances. The treatment combining biostimulation and bioaugmentation was most efficient in eliminating anthracene, resulting in a less toxic sedimentary environment, which restored meiofaunal abundance and diversity. Furthermore, canonical correspondence analysis showed that the biostimulation treatment promoted a bacterial community favorable to the development of nematodes while the treatment combining biostimulation and bioaugmentation resulted in a bacterial community that advantaged the development of the other meiofauna taxa (copepods, oligochaetes, polychaetes, and other) restoring thus the meiofaunal structure. 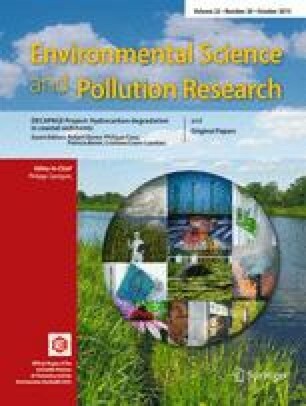 The results highlight the importance to take into account the bacteria/meiofauna interactions during the implementation of bioremediation treatment. This work was supported by a funding of the CMCU program (PHC-UTIQUE, n° 09G 0189), Centre National de la Recherche Scientifique (CNRS), Institut de Recherche pour le Développement (IRD), and the Faculté des Sciences de Bizerte (FSB). We acknowledge the Regional Platform for Environmental Microbiology PREMICE supported by the Aquitaine Regional Government Council (France) and the urban community of Pau-Pyrénées (France). Thanks also to anonymous reviewers for their helpful comments and suggestions.